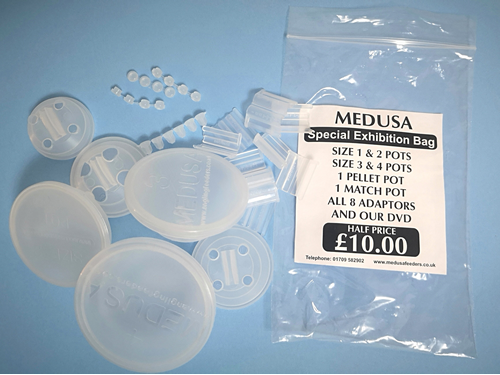 Drip-Feed in Style with the Pole Pot Exhibition Bag! + FREE EXTRA POWER/MEGA ADAPTORS!! Please note that sizes 3 & 4 will save you from buying a cupping kit. Adaptor sizes are; 2.8-3.0mm, 3.2-3.4mm, 3.6-3.8mm, 4.2-4.4mm,4.6-4.8mm, 5.2-5.4mm, 5.6-5.8mm and 6.2-6.4mm, slightly tapered and quick releasing.